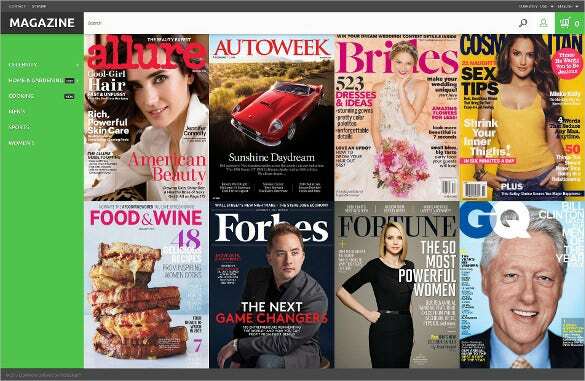 If you are looking for a bright, smart and sophisticated digital magazine, try the Magazine PrestaShop Themes & Templates which has a neat and soothing eye-effect on the readers (read potential customers! 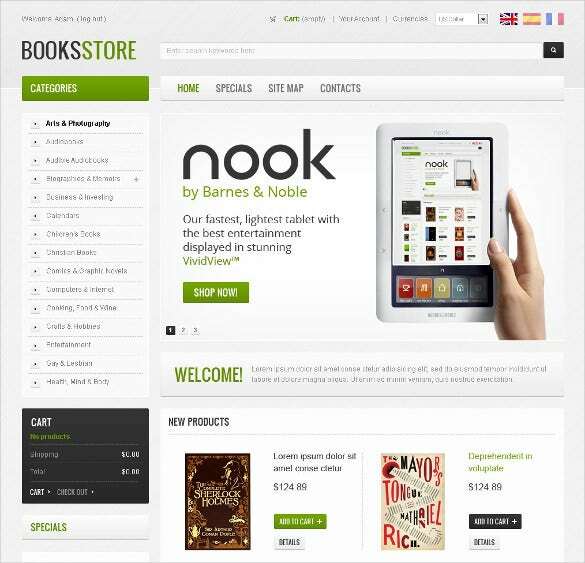 ).You may also check Book Store PrestaShop Themes. With features like retina display images, customisable Google fonts, smart HTML and CSS coding, scope of creating textual details, multiple drop down menu list, category creation, standard bootstrap framework, these templates has been widely acclaimed by the professional as well as the freelance magazine designers. 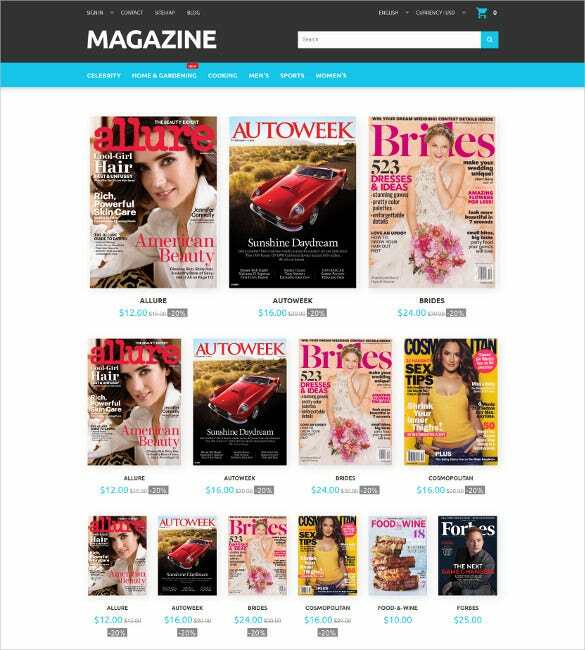 You May also visit Magazine Website Templates. Featuring a 100% responsive design, this PrestaShop template is suitable not only for magazines but for news websites too. It has a glossy appearance and so you do not need any extra decorations for it. Installation is easy and the main menu is sticky in nature. If you are planning to start your online book store, then this is a great magazine PrestaShop template that you can choose. It has an amazing design and comes with widgets in the sidebar along with a footer that ensures easy navigation. 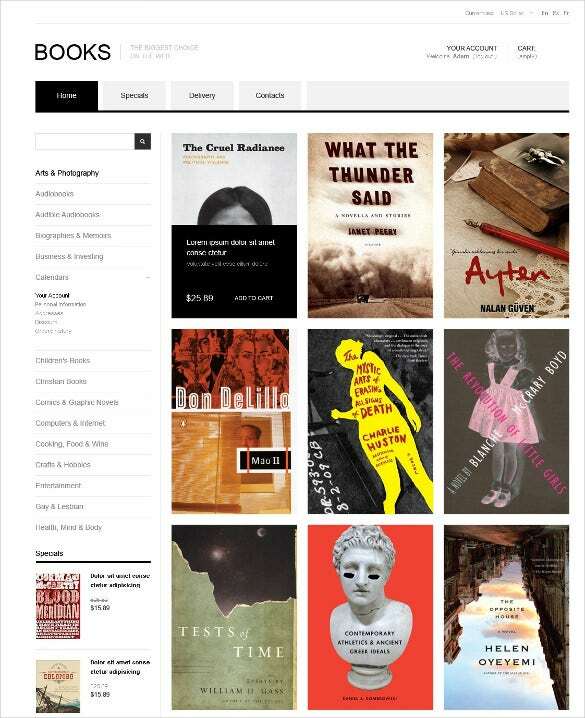 A fantastic template that is perfect for book stores—Nook—has a pleasant design with a beautiful color combination. Featuring an advanced navigation system, this template helps visitors find exactly which book they are looking for and not get lost. Another glossy magazine PrestaShop template, this too has a great design and adapts to all screen sizes. It comes with standard coding and has a grid-based layout. It offers multilingual support and has a built-in customizer that makes customization easy. Responsive design layout, PHP and Ajax contact form, jQuery loading, full screen slider, short codes page, Bootstrap framework, SEO optimized content are the other added features which makes it loved by all designers. Perfect for your digital magazine and online book stores, these templates are very popular among the designers. They are responsive and loaded with features and among the best in the industry.